If there’s ever a piece on Uncharted 3: Drake’s Deception worthy of a giant, blinking spoiler sign hovering above it, politely asking you to back off unless you plan on ruining it for yourself, consider this to be it. And probably a few more to come. But not all is dry, arid and hot to the point of burning up. Drake will be visiting locales such as London and jungles, and everything in between. Hopefully. But seeing as the Iram of the Pillars (a.k.a. the Atlantis of the Desert) is apparently located in the Empty Quarter (another name for the Rub’ al Khali desert), Drake will probably spend more time under the Sun than in dark British back alleys getting punched around. That brings us to the story of the game, which will be based around Lawrence Of Arabia and his fascination with the City of a Thousand Pillars (Iram of the Pillars). Drake’s enemy, Katherine Marlowe, is said to be part of a secret order dating back to Queen Elizabeth I, but exactly how these connect goes unmentioned, unsurprisingly, given that Naughty Dog explained that the story is still being written and altered. There was also mention of past characters returning, aside from Sully. “Of course, there are recurring characters from previous games.” Chloe? Elena? Both? Yes please. As for gameplay, we already know the combat system is expanding, giving Drake the ability to take on multiple thugs at a time. But “details” like him picking up a bottle and embedding it into an enemy’s head and a new stealth system alongside new mechanics are all new to everybody. Naughty Dog also hinted at vehicular… evolution, if you will, saying, “we have a strong tradition of vehicular gameplay, and we try not to repeat ourselves.” Bikes? Or maybe something bigger? 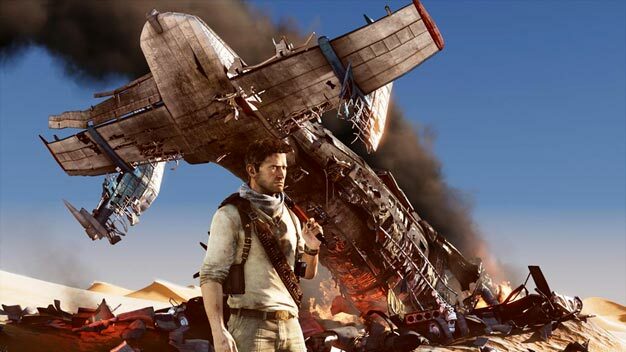 But how inviting all of this may sound already, the best reveal fans of the franchise could get came from the following quote: “The Uncharted franchise was never conceived as a trilogy.” No matter how you read and interpret that, it all says one thing and one thing only; Drake is not done hunting.